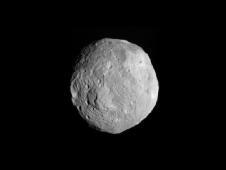 Cool views of the asteroid Vesta from NASA’s Dawn spacecraft. 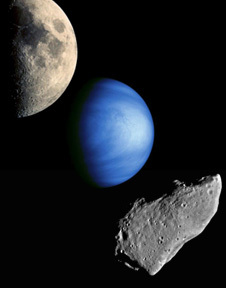 From top to bottom, pictured (not to scale) are the moon, Venus, and an asteroid. SWF PR — A workshop has brought together leading representatives from space agencies and international experts to discuss key issues related to global response and cooperation in the event of a Near Earth Object (NEO) impact threat to Earth. The gathering of specialists took place August 25-26 in Pasadena, California. The meeting was co-organized and co-sponsored by Action Team-14, part of the United Nations Committee on the Peaceful Uses of Outer Space (UN COPUOS) Scientific and Technical Subcommittee, Secure World Foundation (SWF), and the Association of Space Explorers (ASE) that represents over 350 individuals from 35 nations who have flown in space. The supporting agency host of the meeting was the National Aeronautics and Space Administration (NASA) Near Earth Object Observations Program Office. This recent workshop is a follow-up to previous meetings that took place last year in Mexico City to discuss a NEO Information, Analysis, and Warning Network (IAWN) and in Darmstadt, Germany to confer about a NEO Mission Planning and Operations Group, or MPOG, to plan, organize, and conduct any necessary missions to threatening asteroids. NASA PR — PASADENA, Calif. — NASA’s Dawn spacecraft has returned the first close-up image after beginning its orbit around the giant asteroid Vesta. 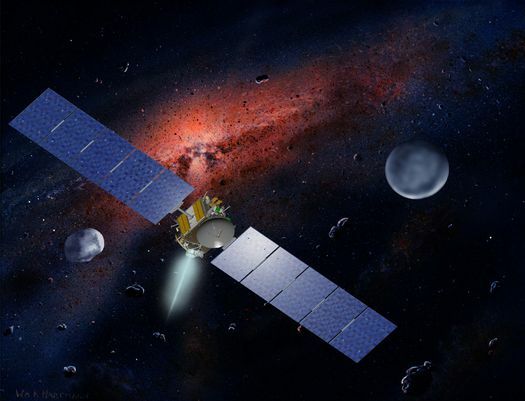 On Friday, July 15, Dawn became the first probe to enter orbit around an object in the main asteroid belt between Mars and Jupiter. NASA PR — PASADENA, Calif. — NASA’s Dawn spacecraft on Saturday became the first probe ever to enter orbit around an object in the main asteroid belt between Mars and Jupiter. 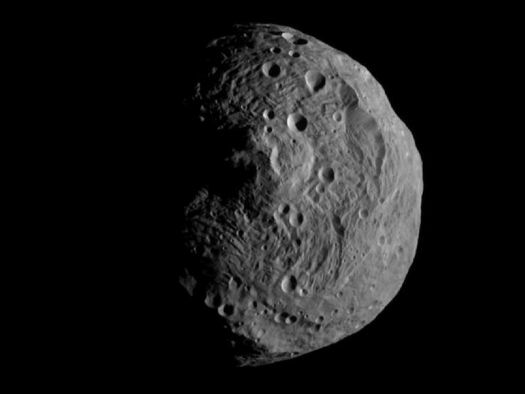 NASA PR — PASADENA, Calif. — On July 15, NASA’s Dawn spacecraft will begin a prolonged encounter with the asteroid Vesta, making the mission the first to enter orbit around a main-belt asteroid. The main asteroid belt lies between the orbits of Mars and Jupiter. Dawn will study Vesta for one year, and observations will help scientists understand the earliest chapter of our solar system’s history. As the spacecraft approaches Vesta, surface details are coming into focus, as seen in a recent image taken from a distance of about 26,000 miles (41,000 kilometers). The International Symposium on Asteroid Mitigation and Exploration, to be held in College Station, Texas, will bring together an international community of researchers and practitioners to discuss new research results, mitigation and exploration strategies, international collaboration, and public awareness. In additional to presentations from attendees, a round table will be held to discuss future international cooperation, public awareness, and public policy statements. 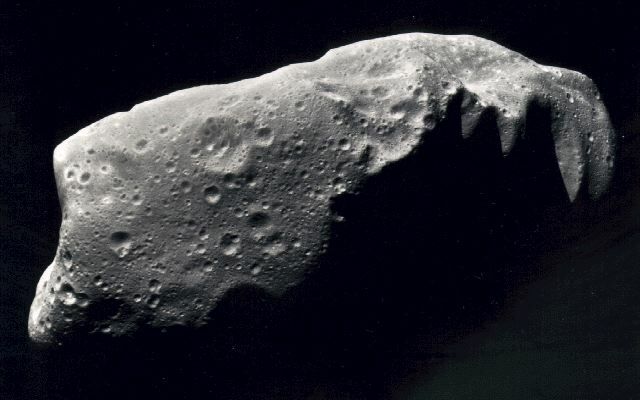 David Morrison talks about the hazards — and opportunities — of asteroids during a recent talk at the SETI Institute. The Space Review: Where to Next in Space? One potential destination for human spaceflight beyond Earth orbit is the Earth-Moon L-1 point. Ken Murphy discusses the various roles a human presence there could play in supporting space exploration and development. Twenty-five years ago today Voyager 2 made its closest approach to Uranus, becoming the first, and so far only, spacecraft to visit the seventh planet. Andrew LePage recounts the challenges of getting a spacecraft designed primarily for Jupiter and Saturn to continue the exploration of the outer solar system. Given the near-term challenges of just getting beyond Earth orbit, does it make sense to think about how to travel to other stars? Lou Friedman explains the benefits of long-term planning for interstellar missions, as DARPA and NASA are currently exploring. During the race to the Moon in the 1960s, the CIA built models of the Soviet N-1 launch pad to help them better understand the launch site infrastructure. Dwayne Day describes the discovery of one of those vintage models in an unexpected location. Discoveries in recent years have revolutionized the field of cosmology, indicating that ordinary matter makes up on a small fraction of the universe. Jeff Foust reviews a book that examines the search for dark matter and dark energy. This post looks at an SBIR proposal from Paragon Space Development Corporation, a rapidly growing Arizona company whose expertise lies in life-support systems. 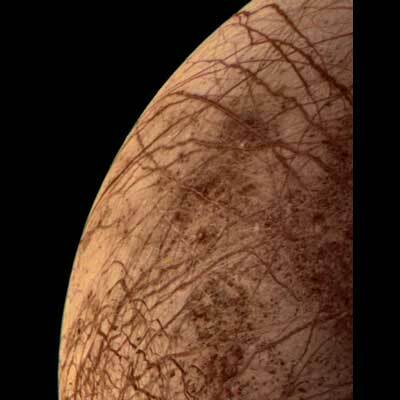 The project involves extracting water from brine to support human missions to other worlds. A cool idea, but the bigger question is: can it turn the water in wine? That would be really profitable. And miraculous to boot! 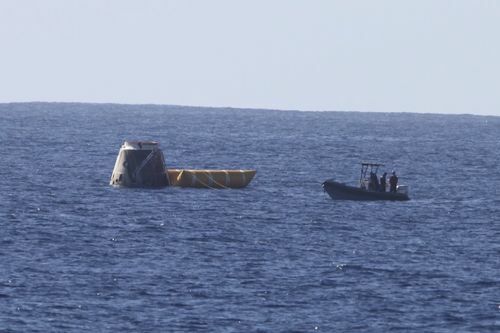 A year ago commercial crew transportation was treated skeptically, at best, in the space community; now itâ€™s a part of national policy with the support of companies large and small. Jeff Foust reports on how last weekâ€™s successful flight of SpaceXâ€™s Dragon spacecraft may help secure the long-term future for commercial human spaceflight. Last weekâ€™s successful Falcon 9/Dragon launch was certainly a major milestone for the space industry, but it got little attention in some sectors of the mainstream media. Anthony Young examines this state of affairs. Some still question the utility of mounting human missions to near Earth asteroids. Lou Friedman discusses not only why such missions are important, but also why the timetable for them should be accelerated. Some people read astronaut memoirs to learn more about life as an astronaut, while others may read them to provide insights to motivate them to achieve their own goals. Jeff Foust reviews one such book that is a better fit for those in the latter category. Fifty years ago this week NASA wrapped up a largely unsuccessful series of missions to send a spacecraft in orbit around the Moon. 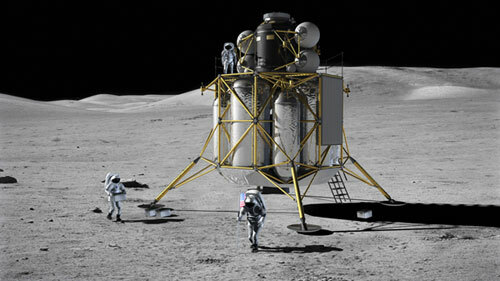 Andrew LePage recalls the origins and unlucky fates of the Pioneer lunar orbiters. As we complete the International Space Station and debate future plans for human space exploration, a key question remains: how can we maintain support for this endeavor? In the first in a new series, Lou Friedman examines the issue and the consequences for not answering that question. Much of the debate over the last year regarding human spaceflight has been where humans should go next: the Moon, near Earth objects, or some place else. Jeff Foust reports on a recent panel session that looked at the question of where to go first from the point of view of accessing space resources. Asteroid impact threats have become a staple of both major motion pictures and made-for-TV sci-fi movies in recent years. Dwayne Day discovers that the theme also was the subject of an obscure Italian movie from the late 1950s. For fifty years astronomers have been searching for signals from alien civilizations, without success; is it time to give up? Andre Bormanis reviews a book by a leading SETI researcher that could convince the skeptical that the search is worth the effort. During the International Academy of Astronautics Summit on Wednesday, Roscosmos Head Anatoly Perminov laid out Russia’s ambitious plans for Solar System exploration, which includes a sample return from Phobos and the Moon as well as landings on the planet Mercury and Jupiter’s moon Europa. 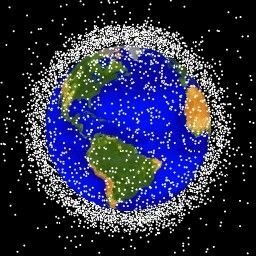 The meeting, which was aimed at deepening international cooperation in space, was attended by 27 heads of space agencies. The Russian space agency and ITAR-TASS reported on Perminov’s comments, which also included remarks about nuclear propulsion, climate change monitoring, asteroid missions, space situational awareness, and the International Space Station.